1) First thing, be sure to cover your work area with an old (plastic) tablecloth. 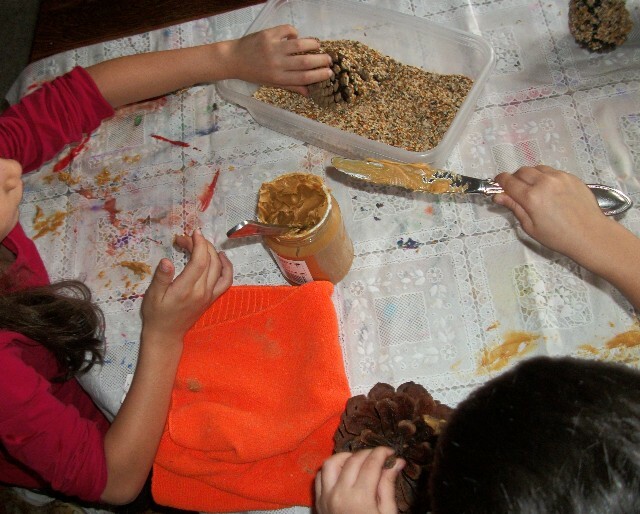 This activity can be a wee bit messy, and it is no fun cleaning peanut butter off of 'Buelita's heirloom tablecloth. A small towel for wiping fingers is a good idea, too. 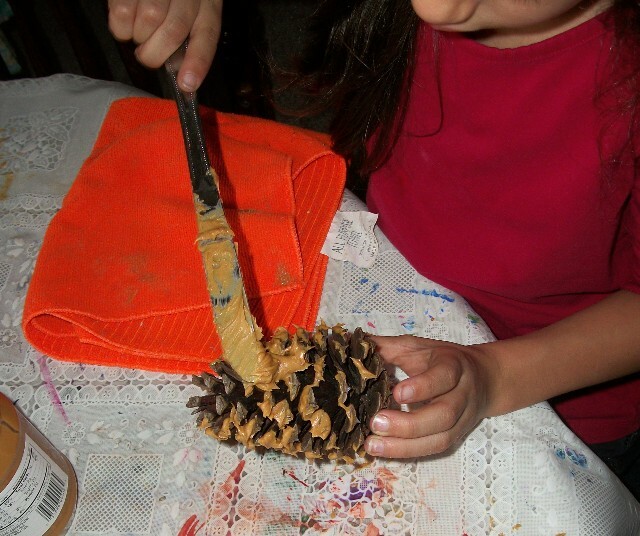 2) Spread peanut butter all over a pinecone using a butter knife or popsicle stick. the seed is stuck to every inch of peanut butter. Small seed, like millet, works best for this craft. 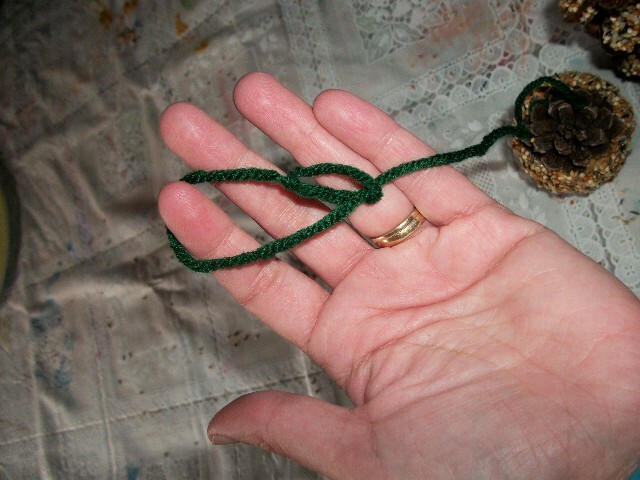 4) Tie a small knot in one end of your yarn, creating a small loop. Take the main part of the yarn and pull it through the look to create a larger one that is adjustable. 5) Slide the loop over the pointy end of your pinecone and pull tight. 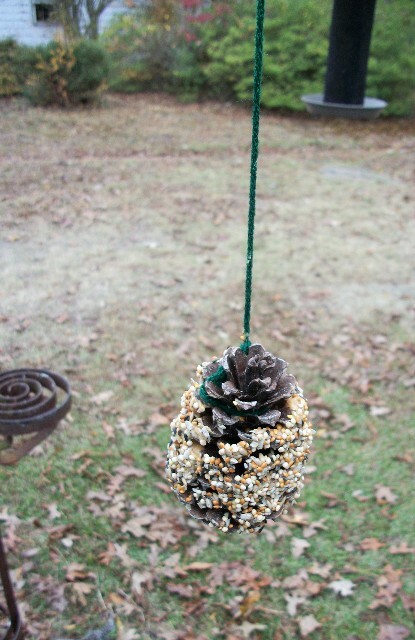 During non-blizzard like conditions, the pinecones will hang nicely and the birds will actually eat the seeds off of them. 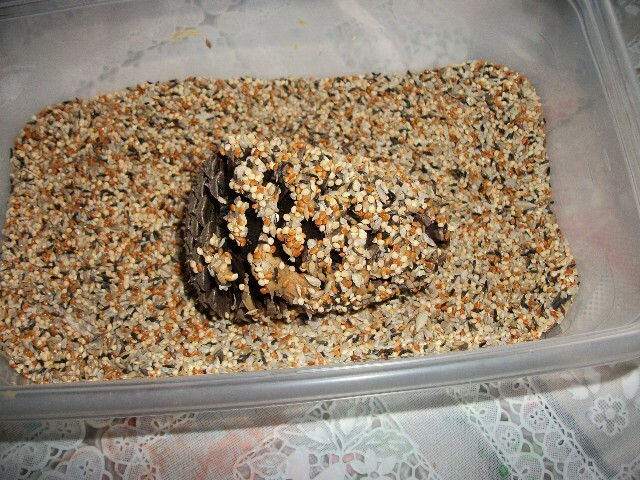 But if you prefer to simply lay them on a ledge with no yarn, los pajaritos will eat it anyway and be grateful. The picture below was taken during our massive snow storm. There are two juncos on the left, and a towhee on the right. 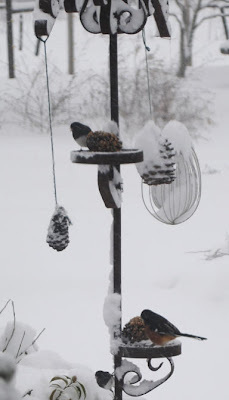 Sorry about the quality of the picture, but the snow was blowing like mad and I was too nice and warm to venture away from my window to go outside to photograph them properly!